HomeAway is taking the fight to Airbnb in a new global campaign encouraging people to book whole houses for their holidays. The campaign, created by Saatchi & Saatchi London, takes a light-hearted look at the advantages of booking a house or villa for your holiday, as opposed to staying in someone else’s home or in a hotel. In the ad a couple awake to find a man in their room starring at them, one family’s lunch is ruined by another family’s water-soaker and a women finds a very hairy soap in the bathroom. A voicover is provided by Nick Offerman, the American actor and star of comedy series Parks and Recreation. At Saatchi & Saatchi London the copywriter was Mike Whiteside and the art director was Ben Robinson. The comedy duo Tim Heidecker and Eric Wareheim directed the spot through Pretty Bird UK. From today, 30-second and ten-second versions of the ad will run on ITV, Channel 4 and Channel 5 in a campaign planned and bought by ZenithOptimedia. Additional activity involves digital and social, including YouTube. 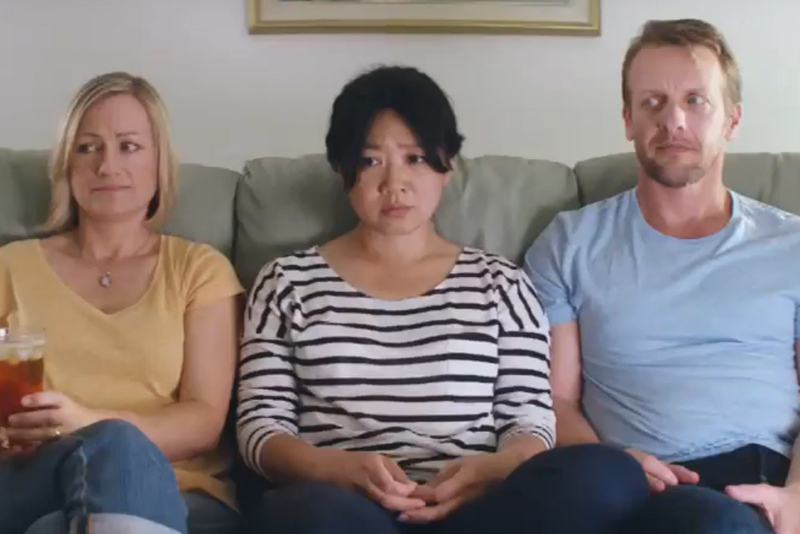 Mariano Dima, the chief marketing officer at HomeAway, said: "Our new campaign demonstrates the problem of over-sharing, using humour to show how a whole house is an upgrade from status quo accommodations and sharing economy alternatives. "Holidays are precious, so every moment should be about sharing the right things with the right people to ensure a more holistic, private and memorable holiday. We want to show travellers what ‘a whole holiday’ does and does not look like." The TV campaign will also run in Germany, France and the US. The ad will also be shown at the Uefa Euro 2016 tournament in France in June and July this year, where HomeAway is the official accommodation service for fans. The "why share it" campaign builds on Saatchi & Saatchi’s previous work for the brand, which prompted its strategy of: "The whole house. The whole family. A whole holiday."